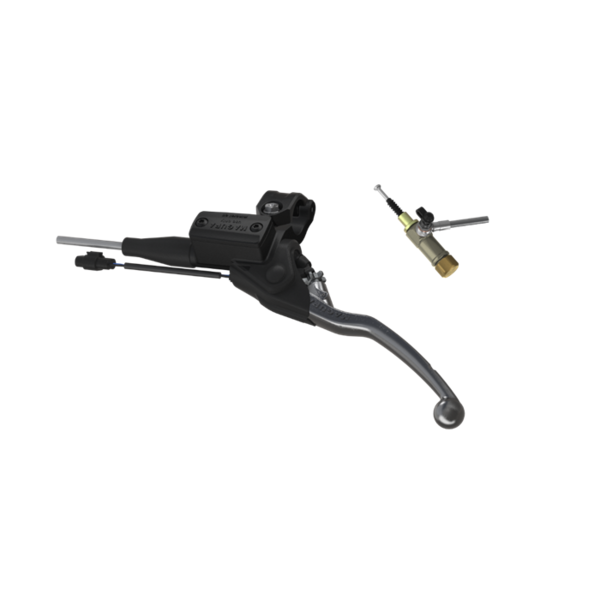 MAGURA HYMEC – an easy to install alternative to a mechanical clutch. This system replaces the clutch lever and cable – with a small lightweight hydraulic system for improved clutch control. The hymec ensures an easier operating pressure, a constant pressure point, no more cable adjustment and smooth clutch actuation to ensure the perfect take-off every time. Hymec significantly improves vehicle performance – it allows the user to feel the point where the clutch releases and actuates. This product has been developed over many years and been tested under the toughest conditions possible in the world of motorcycle off-road sport. ● Here you'll a HYMEC model for your motorcycle.